Toy cars are not just for kids! Even adults can have fun with it. In fact, there are many people who collect such and make this as their hobby. To be specific, RC cars are well-loved. They exist in all shapes and sizes. There are affordable ones and there are also those with crazy expensive prices. With too many choices available on the market, which one should you buy? In the rest of this post, let me give you a primer on some of the top choices worth considering for the best RC cars. We will also have a look at some of the considerations that will be helpful in weighing the possibilities. At the end of the day, I suggest that you look beyond price and put an emphasis on quality instead. Without further ado, here are the top products that should be included in your list of choices, as well as some of the notable features that make them amongst the best. 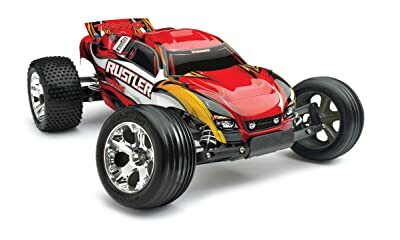 Although expensive, this is one of my personal favorites when it comes to an RC car. It is considered the world’s fastest supercar that is ready to race. In fact, it can quickly go from 0 to 100 miles per hour in just five seconds. Looking at the features, one thing that makes this impressive is the Traxxas Stability Management. With the latter, it will be easy to have complete control of the car regardless of the surface. Even if the ground is slippery or even iced, the car will run without any problem. To add, it also has the advanced TQi 2.4 GHz Radio System. This is complemented with Traxxas Link Wireless Module. This will allow you to use your smartphone to unlock the full potential of the car and have full control. The quality of the components is also exceptional. For instance, it comes with sealed differentials, resulting in improved efficiency and power handling. There is also computer-optimized aerodynamics for improved functionality. More so, it has belted tires, which have been developed specifically for high-speed applications. 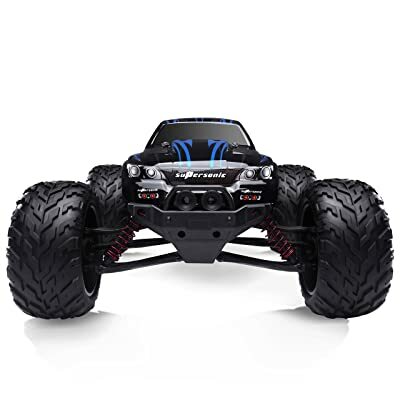 Among other things, one of the reasons to love this RC car is the 4-wheel independent suspension system, which provides it with an edge above many others within the competitive landscape. Each wheel comes with a helical spring, which makes it more stable as the car is controlled. In line with the suspension system, it also has a shockproof system. The latter minimizes the damages that can be caused by vibration. Even if the surface is tough, you do not have to worry about the quality of the components. In terms of power, this will also not disappoint. Based on the technical specs from the manufacturer, its motor can run at a maximum speed of up to 32 miles per hour. There is also an overload protection, which will prolong the life of the motor. The Hi-q rubber wheel is another thing that makes it impressive. Unlike other wheels, it is not easily prone to wear and tear. 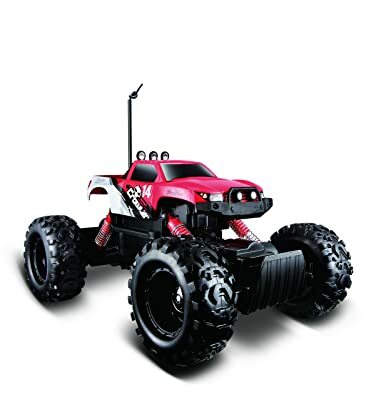 This two-wheel drive RC car has a 2.4 GHz control, which is designed to be user-friendly. There is no need to manage frequencies and channels, which will make its operation simple. It also comes with an ergonomic design to prioritize comfort and minimize fatigue. The waterproof receiver box is also a plus, allowing you to use it even in the rain. 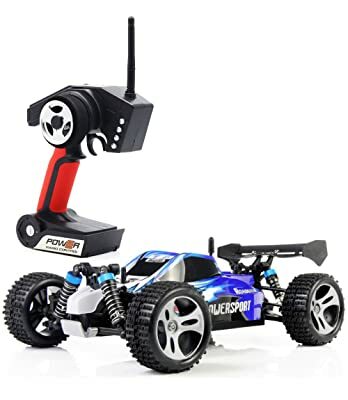 Regardless of the weather, you can have fun with the use of this RC car. It is also a good thing that it comes with an exclusive Titan 12-turn 550 modified motor. Its operation is almost maintenance-free and its power will be hard to rival. It also has an integrated fan for cooling the motor as it operates. For the internal components, it has a torque-control slipper clutch, which helps in the dissipation of heat and makes the traction control consistent. More so, there are oil-filled ultra-shocks that will guarantee dependable and smooth performance. It also comes with steel composite planetary gear differential that is unmatched in terms of its strength. With a maximum speed of up to 35 miles per hour, one of the highlights of this RC car is the 8.4-volt ID-equipped Power Cell NiMH battery. It is 3,000 mAh and has an extended runtime. Best of all, it takes only a short time before the battery is fully-charged. Another feature that is worth noting is the XL-5 electronic speed control. It is waterproof. It also has several features that will ensure its smooth operation and longevity. Some of these features are thermal shutdown protection and low voltage protection. It also has brushless ready magnum 272 transmission. It is constructed brushless-ready, which provides an assurance of its powerful performance. Its internal parts have all-metal construction and it operates quietly. To add, there is a high-torque waterproof steering servo, which is one of the reasons why it delivers impressive responsiveness. Lastly, it comes with fiber composite arm. They are durable and will keep the wheels aligned regardless of how rough the track is. One of the best features of this RC car is the 3300 kv 540 Novatech brushless electric motor. It also comes with both forward and reverse transmission. However, one thing that should be noted about the product is that the maximum speed is not at par with the other products that are mentioned in this post. Also, this is a four-wheel drive. The latter means that each wheel has a power that is independent of all others. This makes it effortless to climb and run even on rough surfaces. There is also an adjustable suspension, providing the opportunity for customization. This will enable smooth performance regardless of the terrain where the car runs. Another feature that is impressive is the adjustable wing. The latter is the one that is responsible for creating rear downforce for the improvement of stability and traction. Meanwhile, it has oil-filled aluminum shocks. It allows it to run smoothly and also protects the components from wear and tear. If you are looking for a budget-friendly alternative, this is where you should keep your eye on. From the seven products that are mentioned in this post, this is the one with the cheapest price. Do not expect too much as its performance is definitely nowhere near to those that you can find in the higher-end market. Despite being affordable, it comes with two motors and low gearing. The latter is the one that allows it to deliver excellent off-road action. The TPE tires are also great. They provide excellent grip on different types of surfaces. Whether it is smooth or rough, the RC car can run smoothly. There is a pistol-grip transmitter, which is not as advanced as what you can find in more expensive models. Nonetheless, it will be easy to use for kids. The transmitter is tri-channel, which means that it can be used by up to three people at a time. This is another option that is worth considering if you are on a budget. However, because of its price, you should not expect too much from this product. In fact, it will work best only for younger users. For adults and hobbyists, its features may not suffice. As an all-terrain car, one of the benefits of this product is that it will run well on different surfaces without a problem. It is also semi-waterproof. The maximum speed of this RC car is 38 kilometers per hour. Meanwhile, it has a 2.4 GHz remote, which can connect to up to 20 cars at a given time. It is designed with PVC rubber wheels, which is one of the reasons why it does not vibrate a lot, and hence, this protects the components from wearing out quickly. Lastly, to be provided with peace of mind, it is also worth noting that it has a replacement warranty for one year. To add, within 30 days, if you are unhappy with the product, you can return it to the manufacturer and you will be provided an unconditional refund. To narrow down the options that are available on the market, this section will briefly tackle some of the most important things that should be taken into account. Type: Generally speaking, RC cars can be categorized into two. Electric RC Car: For an RC car that is affordable and beginner-friendly, this can prove to be an excellent choice. No major tuning is necessary. It also requires minimal maintenance. 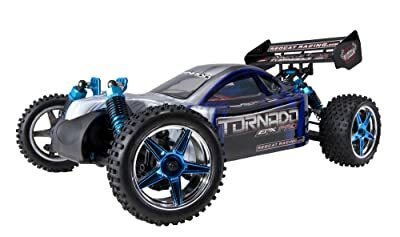 Nitro RC Car: If you are an intermediate or advanced user, this is a better option. It is more realistic and even produces engine-like noise. To add, it is also excellent in terms of speed and it has a brushless motor. Motor: It is also important that you look at the motor of the RC car as it will be indicative of its performance. The motor can either be brushed or brushless. I personally prefer brushless motor because they exhibit better power. Ease of Use: This is an important consideration if you are a beginner or for RC cars that are designed for kids. Controlling the movement should be effortless. The remote should also have an ergonomic design, which will make it comfortable to use. Range: This refers to the distance between the remote and the car. A longer range is always better. Otherwise, you will always need to be the car to have it controlled. Battery: How long does it take for a battery to be fully charged? How long will it take before the charge of the battery is drained? Make sure to look for one that has a long-lasting battery. Body: You also have to look at the materials that are used in the body of the car. Most of them are made of metal and plastic. It is important to assess the durability of the material. To add, it will also be good if it is weatherproof so that you can use it even when raining without any worry. Wheels: It is also important to have wheels that are designed to provide exceptional traction on different surfaces. Whether the ground is smooth or rough, the car must be able to run without difficulty. Aesthetics: An RC car also makes a great collection. When not in used, it can be displayed in a room, especially if you are a hobbyist. Scale: This is an important consideration as this will determine the exact size of the RC car. 1/10 scale is the most common. This means that it is 1/10 of the full size of the car where it is originally modeled after. If you are a beginner, a smaller car is a better option. Warranty: If you want to have peace of mind, choose a product with an extended warranty coverage to rely on the support from the manufacturer, such as in terms of repair and replacement. 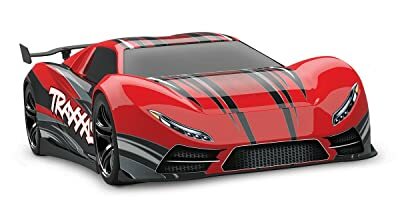 With the overwhelming options for the best RC cars, it is not easy to decide which one will provide the best value for the money. To narrow down your choices, keep an eye on the products that have been mentioned above. Do not choose one product only because of price. Quality should be the more important consideration.